Originally part of the “Mother County,” Robeson was established in 1787, and it received its name in honor of Thomas Robeson. Colonel Robeson served during the Revolutionary War, and he led the defense of Elizabethtown. In 1781, Colonel Robeson and his seventy troops succeeded in defending the town against nearly four hundred Tory soldiers. A commemoration, known as the “Tory Hole,” exists in Bladen County. The county seat, Lumberton, was named after the Lumber River, and it was founded just one year after the county’s establishment in 1788. John Willis, a native of western Bladen County and Revolutionary captain, donated a significant tract of his Red Bluff Plantation for the new county seat. When Lumberton was incorporated into Robeson County, its location was at “Drowning Creek” on the Lumber River. Rowland, Red Springs, Lumber Bridge, Alma, Pembroke, Maxton, Parkton, Allenton, and Shannon are other communities and towns within Robeson County. The original Indians to inhabit present-day Robeson continue to live in the area. According to William S. Powell, the Lumbee, with over 53,000 registered members, comprise North Carolina’s largest tribe, and the ninth largest in the United States. Some historians believe the Lumbee were the descendants of the “Lost Colony” colonists who intermarried with the Croatan and moved to present Robeson County in 1650. The Lumbee adapted to the white settler’s lifestyle and assimilated into the new culture. In 1835 a new state constitution did not recognize the Lumbees’ civil rights, particularly the Lumbee right to vote. After the Civil War, the Lumbee tribe became set on developing their education system, and although the state did not provide for Lumbee schooling, in the early 1920s there were thirty-one schools built by the Indians in their community. Since 1888, the Lumbee tribe has fought for federal recognition, but they have yet to succeed. In 2004 and 2005, Senator Elizabeth Dole introduced two proposals for Lumbee recognition, however, the bills were never adopted by Congress. The University of North Carolina at Pembroke is an important academic institution in Robeson County. Created in 1887 by the North Carolina legislature, the school’s original purpose was for “establishing and maintaining a school of high grade for teachers of the Croatan race in North Carolina.” In 1972, the school was merged into the North Carolina state university system. Robeson County has several notable physical characteristics such as different rivers, creeks, and Carolina bays. Panther and Horse Pen Branches, Currie Bay, Bear Bay, the Gum Swamp Canal, and the Lumber River are a few natural traits of the county. Various historic places and houses continue to exist in Robeson County. The Archie Buie House (1902), the Luther Henry Caldwell House (1903), and the Carolina Theatre (1927) are a few historic landmarks in the area. Robeson County hosts cultural gatherings and local institutions focus on the region’s rich heritage. The Robeson Little Theatre, the Border Felt Farmer’s Museum, the North Carolina Indian Cultural Center, and the Robeson County Showcase Museum are cultural organizations in Robeson. Some annual festivals held in the county include Fairmont Farmers Festival, the Lumbee Spring Pow Wow, St. Paul’s Annual Festival, and the Native American Wild Game Festival. In addition, the Strike at the Wind! play which commemorates the exploits of Lumbee outlaw, Henry Berry Lowrie, is performed during the summer in Pembroke. Some notable Robeson County natives include Angus W. McLean, Governor of North Carolina from 1925 until 1929, and Henry Berry Lowrie, a Lumbee Indian who served as a Robin Hood figure for the Lumbee and Tuscarora after the Civil War. “Robeson County; Lumbee Indians.” William S. Powell, ed. Encyclopedia of North Carolina (University of North Carolina Press: Chapel Hill, NC 2006). “Robeson County North Carolina.” Robeson County Government website. 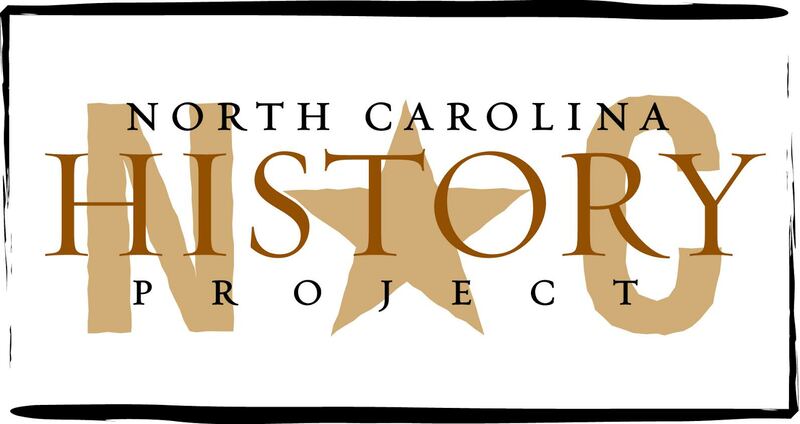 http://www.co.robeson.nc.us/hist.htm, (accessed November 9, 2011). “Angus W. McLean; John Willis; Henry Berry Lowrie; University of North Carolina at Pembroke.” North Carolina Highway Historical Marker Program website. A Division of the North Carolina Department of Cultural Resources. http://www.ncmarkers.com/Results.aspx?k=Search&ct=btn, (accessed November 9, 2011).